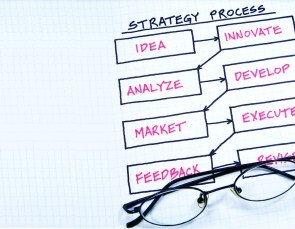 Most employees are confused about their company’s strategy and vision, new research confirms. Only 42% of workers from around the world could recite their organization’s visions, missions or values, a survey by Tinypulse found. The results echo a similar finding from the Harvard Business Review which showed an astonishing 95% of employees are unaware of or do not understand their company’s strategy. When it comes to vision communication, organizations are in dire need of help from HR to broadcast key messages. And for HR, it’s a perfect opportunity to demonstrate the department’s value, and to collaborate with senior colleagues. Communicate vision to the point of excess Remind employees of key points of the company vision until the strategy cannot be forgotten. Think about plastering the vision beneath all internal communications, and on workplace walls. Because most companies only communicate corporate strategy quarterly or annually – 85%, according to research from Best Practices, LLC – you can put your organization at a significant advantage. "It doesn’t matter how clever your strategy is – if employees don't understand what it is, then there’s no chance for their actions to be in line with what needs to happen," said strategy expert Sarah Thrift.